Man that is so awesome. I’m am stoked for this place! Love it! Sounds like a man with a mission. I grew up on the West Coast and I like pizza, too. I don’t need some New Yorker enlightening me. 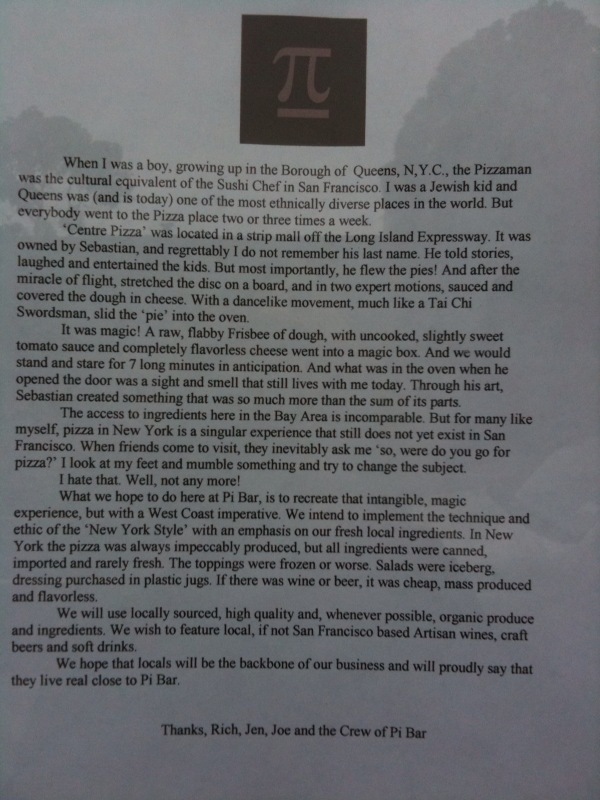 I was lucky enough to attend a “tasting night” at PI Bar—Trust me when I tell you that the pizza is unbelievable!! Us west coasters have a lot to learn about great pizza–and PI Bar is bringing it! !